Upgrade for Velar is currently under development. Packages can be tailored to your currently owned vehicle, Overfinch can sell you the whole already modified car, you may choose from pre-owned or Overfinch can even commission the bespoke vehicle. As Overfinch presents it, imagination is the limit. To redefine Range Rover exterior, at front Overfinch developed expressed front airdam, carbon fibre for the intake grilles and spoiler, also installed its signature LED running lights. Theme continues at rear with modified airdam and rear bumper including those branded exhaust tips. As upgrade options are not only design limited, those tips may not be only the tips. If your Range Rover happens to be equipped with 5.0 supercharged petrol motor, there’s Overfinch developed exhaust system offered. Depending on your taste in music and sports, exterior bright work can be finished in one of the three packs - black, platinum or gold. New for 2018 Overfinch offers updated Lumière (French for light) seats trimmed in Bridge of Weir leather. Doubt your intelligence not, this is not an animal which leather is used for the seats trim. It’s a village in Scotland and a name of company, which, founded in 1905, today is known for operating one of Europe's largest leather production facilities and exporting to over 60 markets. It’s about the heritage, the craftsmanship and selected supplier has plenty of it to suit the values of Range Rover. And yes, there’s such thing as Scottish leather too. This leather features contrast stitching which, according to Overfinch, is distinctive and timeless. Other upgrade options include selection of 10 alloy and forged wheel designs, mohair carpet sets. Should one prefer not to deep dive to specifying the car, there are currently three limited editions offered. 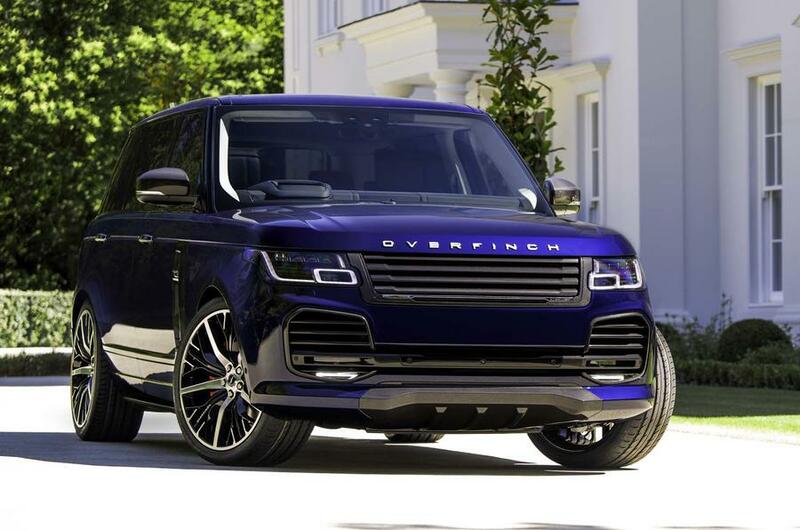 So to say, Overfinch has done the work for you. And Overfinch really knows how to get it done properly. It has been working on customizing Land Rovers (and Range Rovers) for over 40 years now. Rather than chasing volumes, it concentrated on enhances existing and builds bespoke vehicles only based on Land Rovers (and Range Rovers). It’s a serious know-how we’re talking about here. Prices are not published, as it is expected customers would prefer going beyond ‘standard’ product offerings and would individualize their preferences. However current stock includes Overfinch modified Range Rovers priced from $157,990, new. Overfinch knows long and well how to pack comfort, luxury and style and with addition of Lumière seats in 2018, it extends this to another level. It’s the art of bespoke. Is it value proposition for you? The company should be called OverRich. For people with more dollars than sense. I understand the need to have a car that is different and special, but these kind of businesses that offer luxury customization packages for heaping bags of money seem decadent and wasteful.